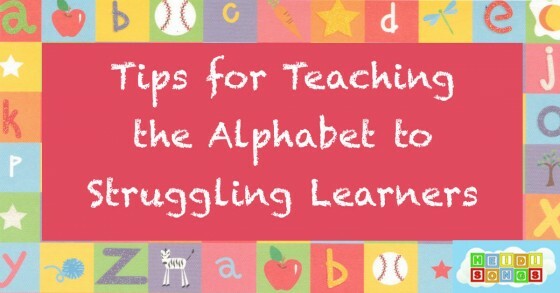 Do you know how to teach the alphabet to children that struggle to learn? The 52 letters that are necessary for children to learn, along with the minimum 26 basic sounds of each letter, can sometimes seem like a giant mountain to climb at the beginning of kindergarten! In this post, I will tell you all about my best ideas in my "bag of tricks" that I have developed over the past 25 years of teaching kindergarten in a low income, Title One school in Southern California. California now has state standards for preschool that say that children are supposed to learn the alphabet in preschool and pre-K. Children in California are supposed to start off Kindergarten only needing a short review of the alphabet and letter sounds, and then it’s on to the big adventure of learning to read! But preschool is not compulsory, and times are hard. Most parents in my community do not send their children to preschool, (though know most would have liked to,) and now I’ve spent the last five weeks doing everything I possibly could to help my babies learn the letters and sounds! Unfortunately, most of my students were technically behind on day one of kindergarten, which is actually very sad for them, since it is only the beginning of their academic career. I need to get them caught up quickly, otherwise the research tells us that they will likely spend the rest of their school career getting farther and farther behind from this point on, because the achievement gap just continues to grow. With this in mind, here are a few things that I have been working on to help solve this problem. Most of this has been on my method for many years now! Hopefully they will be usable ideas that will be relevant to you! I sent home a progress report at the end of last week to let parents know how their children were doing. (Yes, I do realize that it was only the end of the fourth week of school!) But I figure that if I am going to get them to help their children master the alphabet by the end of the first trimester, I will have to start lighting that fire ASAP, because it is not going to be an easy task for some. I am attaching this progress report for you as a free download, just in case you would like to do the same! Even if only half of them take the information and try a little harder to help their children, it's worth the effort. Anything that the parents do is one less thing that I have to do myself, that’s for sure! Even if it just helps a little bit, it’s worth a try. 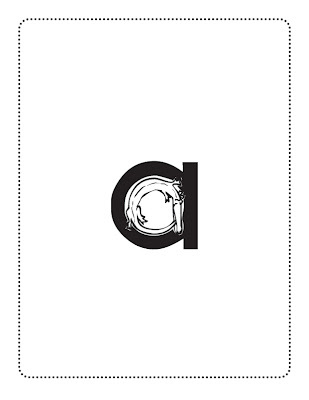 I will also send home a fresh set of alphabet flash cards with some of them to practice with. I held an extra parent conference last week with one child’s parents who were really concerned about her slow progress in learning the letter names. At this conference, I showed the parents how I would work with the child at home, if she were my own. I sat with them and showed them three or four different ways to practice the alphabet with their child, and also gave them a Letters and Sounds DVD. So basically, I sat and modeled how to teach their child the letters. Last week, the little girl knew just four or five lower case letters, but today during after school tutoring, she identified SEVENTEEN lower case letters!!!! So I think this must have really paid off! Even I was amazed at the change in her ability to identify the letters! Wow! Remember, any time you spend training parents to help children is time well spent, because they have MUCH more time to spend individually with their children than you do! Meanwhile, once I got all of the children in the group started, I stopped ONE of them and asked that child to practice saying the letters on his or her RAN board with me. When that child finished, I went on to the next child and did the same thing, and so on. It’s a method that has worked for me fairly well, year after year. I also send a copy of these RAN boards home with each child so that they can work on them at home, and I update them regularly as well. 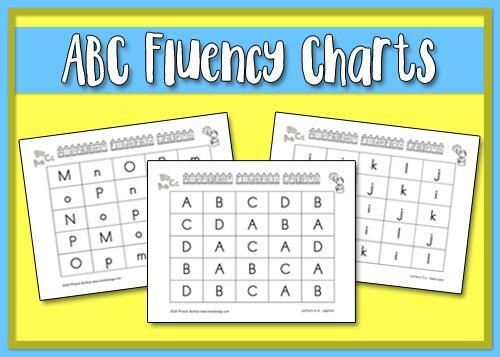 Once I have the children in small groups, I try to show the children the relationship that many of the letter sounds have to the letter names. For example, the sound of the M and its letter name have a definite connection, so these letters will be easier for them to learn. The “Sounds to Letters” song on the Letters and Sounds Animated DVD (shown above and below) is also useful for establishing this connection. But over the years, I have developed a few tricks to help the children remember some of the letter names that have no connection to the letter sound, such as the letter Y. Below I have listed the ones that I know of. If you know of any others that work well for you, I would LOVE to hear about them! Please leave a comment on this blog and tell us! I am confident that if we all put our heads together, we can come up with a MUCH better curriculum than anything our district can hand us, so let’s go for it! 1. Y: For this letter, I tell them to throw their hands up in the air and make a letter Y with their bodies. Then they should say, “WHY can’t I remember??? ?” This always makes them laugh, and they usually remember it from that point on. 3. For H: I have them make the H sound and start running, just like they do at the beginning of my H song. Once they start singing the song, the lyrics of the song itself will lead them to the letter name. 4. Q: The beginning of the Q song has the children making cuckoo clock motions, which the kids seem to remember, but I tell them to say “Q, Q!” instead of “cuckoo!” (with my head popping forward and back, of COURSE!) They think that is hilarious, too, and anything that tickles a kids’ funny bones is more likely to help them remember something, at least according to research. 7. J: The children usually really like the J song, so when I show it to them, I have them shout out the end of the song, which ends just like “John Jacob Jingleheimer Schmidt,” but it goes “J, J, J, J, J, J, J, J!” They raise their hands up in the air and bring them down to the ground as they do it, so it makes it fun. This is an "Old Style" Zoo Phonics card. They have newer, updated artwork now, but since all of my supplies are in the old style of cards, I never switched over. This is what their new artwork looks like. 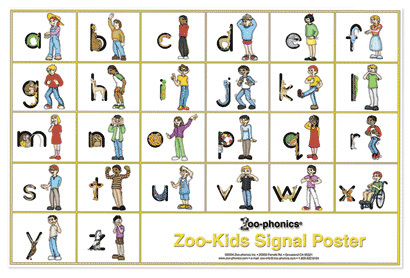 If you are not familiar with Zoo-Phonics, it is a multi-sensory method of teaching the letter sounds. I am not connected in any way with the Zoo Phonics company, nor have I been compensated for this section of my blog. I have just been using their products in my classroom for many years since my district purchased it for me sometime in the early 1990's, and I have been a believer ever since! 3. After about three weeks of school, if it seems like most of the students know the sounds, I take my cards and flip them over to the back, where I have printed plain lower case letters. (See "Transitional Cards," below.) I ask the children to "do Zoo Phonics" with the plain letters, even though the Zoo Phonics characters are not there. 5. If a child has not learned a letter sound, it is usually because of a couple of reasons. - If the child's attention wanders, and he stops looking at the cards, then this affects learning. This could be due to simple behavior, or actual medical issues such as ADHD. Working with a child one-on-one daily usually can solve the problem, though. Also be sure to check the child's vision to make sure the child can physically see! When in doubt, use nice BIG letters. Print them out so large that they fill up the whole 8.5" piece of paper (holding the paper vertically "portrait", not "landscape"). - If the child is doing the motions, but doesn't say the sound, then this affects learning. - If the child says the sound, but refuses to move his or her body, then this affects learning. - If the child cannot hear the sounds, (due to a physical disability), then of course this affects learning. - If the child is having trouble discriminating (telling the difference) between the sounds that he hears, than this affects learning. For example, if the child confuses the beginning sound of the short E (as in "elephant") with the beginning sound of - I (as in "inchworm") then this will affect learning. 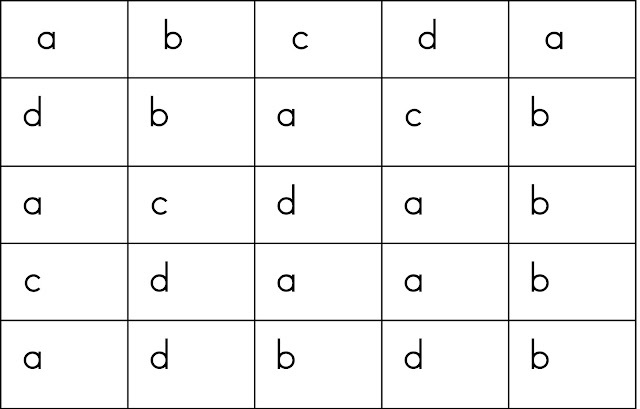 Each time you test the child on these letter sounds, he or she may respond with a totally different sound! It's hard to tell if the child actually learned it. Of course, you can buy a Zoo Phonics kit. OR, you can make your own flash cards by using their Zoo-Phonics Font. I do have the kit, and I also make my own flash cards because my old ones wore out YEARS ago from over use! Plus, I wanted to make a set to put on the wall. One thing that their company does not offer (at least not that I know of,) is something that I like to refer to as “Transitional” flash cards. 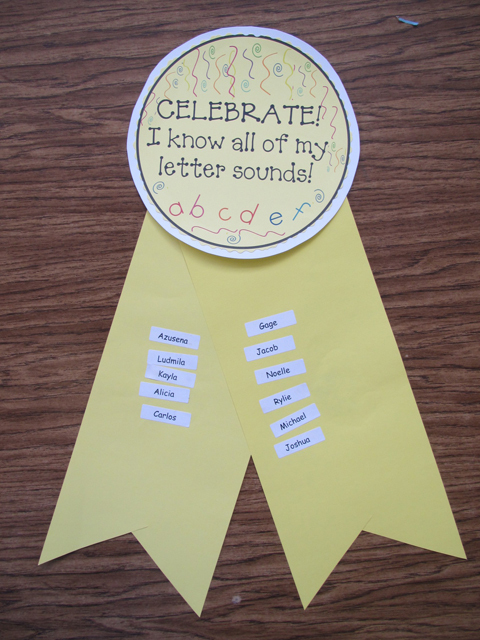 To make these, I print out the Zoo-Phonics card and glue it on one side of the card, and then I print out an ordinary matching letter and glue it on the back of that card. Then I laminate the cards, trim off the excess lamination, and voila! I have a set of “Transitional” Zoo-Phonics Flash Cards. These cards are very important to me in helping the children learn the names of the letters, because once they know the letter sounds, (which are fairly easy to learn with the use of their cards and my Letters and Sounds Animated DVD) I can help them transition over to the letter names with the use of these cards. I can also train them to tell me the sounds of the letters WITHOUT looking at the Zoo-Phonics card by using these cards. This is what I do; it’s actually pretty sneaky, I think, because the children don’t even seem to notice the change! One day when I’m about to drill the children with the Zoo-Phonics cards, I just flip them around to the back and simply start using the other side and ask them to respond the same way. Usually, I don’t even have to ask! Somebody will start going “/a/, /a/, /a/!” and making alligator chopping motions, for example when they see the letter A. If the kids are stumped, I flip the card to back for a quick peek at the Zoo-Phonics card, and then quickly flip it back again to the regular letter. That way, when they are making the motion, they are looking at the regular flash cards, NOT the Zoo-Phonics card! This “imprints” the sound on their minds, and most children make the transition away from the Zoo Phonics cards onto plain letter cards very quickly. Now here is the "magic" part about including special needs kids in the regular classroom setting in an activity like this: all it takes is just ONE student to remember the letter sound and the motion that goes with it. He or she starts doing it, and the rest of the children follow. They all just imitate the ones that know, and so this helps the children that are struggling. But generally, with enough repetition, the children that are struggling will get it! Cooperation is the key, though. The special needs child needs to be trying to participate, if not understanding the activity. So this can be difficult to come by if the child has ODD (Oppositional Defiance Disorder.) Comprehension of the activity can come later, but cooperation must usually come first, in my experience and humble opinion. 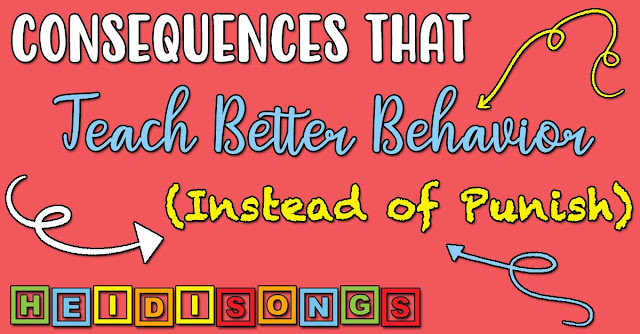 The only way I have gotten uncooperative children to learn the alphabet is by playing the Singable Songs for Letters and Sounds CD in the room when the special needs child was there. The child in question appeared to be not listening or participating at all, but the message still "went in" somehow; and one day we realized that she had learned most of the letters. The only thing that had changed was the addition of the CD. Once most of us have the letter sounds down, I add a third element to the drill (and by the way, this is all usually done in a whole group situation.) Each time I show a card, I say, “Sound?” Then they make the sound. Then I say “Letter name?” Then they say the letter name. Given that this is a whole group activity, the more advanced children tend to pull the struggling learners along, and that really helps! They hear their peers responding, and do the same. I watch the entire group, and NOBODY is allowed to just stand there and so or say nothing. They MUST all try, even if they are only repeating what they hear after somebody else says it first, AND I must see their bodies (and mouths) moving with the motions. This full body response is vitally important to the learning process for young children. Insisting that everyone participate may seem a bit “over the top” to some, but I am convinced that this is the key to learning, so I continue to insist upon it each year. Once the children understand that I don’t take “no” for an answer, I do get full cooperation, and learning usually follows. Having trouble teaching number recognition? This is the exact same process I use for teaching the names of the numerals, but I use the Jumpin’ Numbers and Shakin’ Shapes flash cards and the Number Jumble DVD and it works like a charm! If you would like to read my blog post on how to teach the numbers and shapes in a similar way, click here. Some children just do better when you drill them with VERY large letters. I print out single letters that are large enough to for one letter to fill an entire 8.5 x 11" piece of paper. (I have a set that is laminated that I use every year to drill my class whole group.) Last year, I had a child that was struggling terribly and really making virtually no progress at all on anything except for the Zoo Phonics letters. 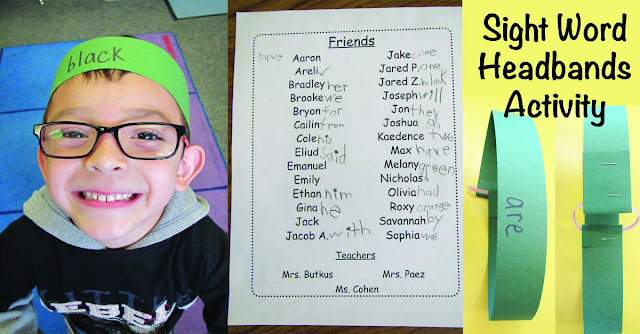 This very sweet little boy could not even identify any of the five letters in his name, even though he had no problem writing his name! I worked with him in a small group of three or four children after school, three days a week, using the RAN boards mentioned above and the Zoo Phonics cards. He simply couldn't remember ANYTHING when I switched from the large Zoo Phonics cards to the smaller RAN boards. But the kicker was that he had had his eyes checked, and apparently he had 20/20 vision! Both the school nurse, his pediatrician, and his optometrist said that he did not need glasses. But I was determined to figure out what the problem was. After a month of trying, I gave up on the RAN boards, because they were obviously not helping at ALL. I noticed that when I asked him what the letters were that were printed on the backs of the Zoo Phonics cards were, he often knew them! So we switched to only using alphabet cards that were just as large as those printed on the Zoo Phonics cards. The font was 300 point comic sans, so that's BIG! I sent home copies of the over-sized flash cards, and THEN we started seeing some progress- although it was slow in coming. But at that point, I was just so happy to see that he was learning, that I didn't care how slow the progress was! I had found the key! He did eventually learn most of the alphabet by Christmas. The interesting thing about this child was that he had many skills and strengths in other areas; his only real deficit seemed to be in remembering items presented visually and attaching labels to them, such as letters, numbers, sight words, etc. He was great at phonemic awareness, and had a nice sized vocabulary. He developed very good fine motor skills and was very cooperative and easy to work with. He was clearly an intelligent little boy, and his parents were helping him every single night with everything that I suggested. They read to him at night, they did all of the homework, they were supportive in every way. They spoke only English at home, so there were no other languages at play. He was very cooperative, and had lots of friends. Essentially, absolutely everything was in place that should have been in place. He simply couldn't remember visual symbols and attach a label to them as quickly and efficiently as his peers. The best way I can describe this is to any one is to look at a bunch of writing in a foreign language with a completely different way of writing and try to remember a few symbols and see what happens. When I look at Chinese symbols and try to make sense of them, they tend to all look the same to me! The same thing happens when I look at Arabic. My brain hasn't learned to figure it out, understand it, or memorize it. I just can't process it- they all look the same. I give up! (Notice, there is nothing wrong with my vision...) Do you see the difference? Now enlarge the symbols to the max and go sloooooooowwwwwlllly. Only show the child just a few letters from his or her name and make sure he or she knows just these over-sized letters. Once you are confident that he knows these, then you can start to reduce the size of them. But when you introduce a new letter, start with a nice BIG one! I hope that these tips are helpful to you! If you have any questions that I might be able to help you with, just send them to info@heidisongs.com, or leave a comment below. Thank you for all of your wonderful ideas! I love the RAN boards that you shared! I, too have many lower students in my group this year. I will be making some plans this weekend to implement some of your ideas on Monday! Heidi, you read my mind this week!! 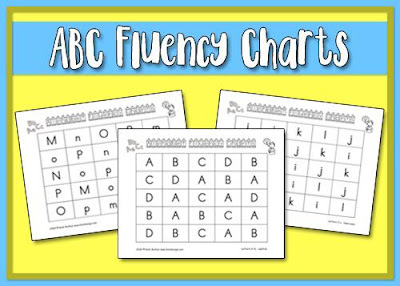 I was just thinking of sending you a message of how to get all kiddos to learn the alphabet quickly..I am going to use these ideas in my classroom. We don't use zoo-phonics but I think I can make some flashcards using the alphafriends in HM. What do you think??? Again, thank you!!!!!!!!!! Great post! I love the RAN boards. Do you start at A and go to Z? Or start with the letters first "formally" taught. I have several non English speakers in addition to the students with no preschool I am trying to catch up. We just finished week 3. Also, do you play the letter/ sound DVD each day? I love your idea of the "final" transition from the ZP cards. We use ZP, and I LOVE it (never thought I would say that several years ago when we started). I know the first grade would be happier if we got away from the animals more. Heidi - when you assess the children for letter sounds do you give them the letter and they produce the sound or do you only show them the letter on paper? Thanks Heidi -- this is much needed core information for this time of year! Thanks for continuing to give us just what we need! Another trick I use to help teach the sounds is by singing the alphabet sounds to the tune of Rudolph the Red Nosed Reindeer ("a,a,a,a,a,a,a, b,b,b,b,b,b,b, etc.). That way they have several repetitions of the same sound while singing the song. I can do the same process for letter names using Jingle Bells. More bang for your buck! When I assess the children on the letter sounds, I just show them the letter and ask them what the sound is. I don't tell them what the letter is or anything like that. The only clues I give them are if they mix up the b and d. If I am pretty sure that they are just giving me a reversal sound (such as the b for the d sound), I say, "Are you sure?" and let them think about it one more time. Other than that, they have to just come up with it on their own. I do encourage the children at the beginning of the test to give the motions for the letter sounds, even though the Zoo-Phonics picture is not there, though! This does help jog their memories. The average was 9 letters? Wow! My average might be near that...but it is because there are a couple who know 24-26...and the rest nothing (okay...maybe X and O). Letter sounds...mostly nothing. But things are improving rapidly...Thanks to Jolly Phonics and Ms. Heidi! (BTW...they think I come home and call you everyday!) A parent told me the other day that their child was singing a song and she asked if I had taught it to him...he said no, not Mrs. Kaylor...Ms. Heidi! She came to Open House expecting to meet you! I totally can relate to what you are saying about how a lot of the kids come to Kindergarten ALREADY behind! I teach in So. California as well (Long Beach) and most of my kids don't have the preparation they need either. It always surprises me how many kids can't even write their name!!! (You would think that after 16 years I would be used to it--but it still dumbfounds me every year!!!) I usually tell the parents on the first day (parents stay with kids the first day) and then again at Back to School night that the first month is to allow time for the kids who did not attend preschool (I try to blame it on the lack of preschool rather than parents sitting at home with their kids for 4 years doing NOTHING with them) I tell them that they need to know 3 things by the end of the first month: How to write their name, the names of the letters in their name out of order (and yes, Ana gets it easier than Jonathan, but that's just the way it goes) and numbers 1-5. Even after telling the parents twice, working with the kids daily, AND sending home precut flashcards etc (I find that if I don't precut them, they don't get cut)you would not believe how many kids STILL DO NOT KNOW these things after the first month! It is sooooo depressing! It makes me want to shake the parents and say, "DO you really want your child to grow up and be in the same situation as you?????" OMG--I feel like banging my head against a wall every year because of this! Thanks for the good ideas as always and thanks for making me realize that I'm not the only one in this boat!!! All I can say is try it and see! I have never had any luck with Alpha Friends. My personally opinion is that their icon/picture on the letter is way too big and obtrusive on top of the letter itself. It captures the attention of the eye rather than the letter itself. We want the children to see the letter, not the character on the letter. The Zoo Phonics characters (at least their "classic" ones- I haven't tried their newer artwork) are small and unobtrusive on the letter. I would even say they are unappealing to the eye! The children don't notice them very much- not as much as the letter itself. This is just my educated guess as to what is happening here, and why ZP seems to work better than the Alpha Friends. We are lucky at my school, because when our district first adopted Houghton Mifflin, our principal told us that we could continue to use the ZP cards if we wanted to. We knew it was working, and saw no reason to throw them out. ALL of the other schools in the district had to switch over. Our school's Kinder consistently gets very high scores on letter sounds in comparison to the rest of the district, so it is possible that I am right in this area. Thanks! When I introduce the letters to the class, I do start with A and go to Z. BUT.. and this happens every year... by the time we get to week four, most of my kids have picked up most of the letters, so I just start giving RAN boards with the letters that the lowest kids are missing, and continue working on those letters with them in small groups and during tutoring after school. At that point, I quit focusing on the individual letters in large group instruction, because most of the children know most of them anyway, and it's an inefficient use of time. Do I play the alphabet DVD every day? I would do it during the first four weeks if I had full day K from the get-go! But with half day K, it's impossible! I prefer to stick to the Alphabet Action song, which gives us a quick review of the whole alphabet and sounds all in one quick song. The Sounds to Letters song does the same thing, but it is not as much fun for the kids. I send home the alphabet DVD with my tutoring kids and ask them to watch it at home every day, and that seems to help a great deal. Welcome to my world! And so many of the parents are really nice folks whom you think would know better. But I think that they still remember Kindergarten being milk, cookies, and blocks- that's probably the disconnect right there. Just curious what tips you give your parents for working on letter sounds at home. I current have a few ELL students and some very low Kinders. I am even trying to potty train a student! We currently use HM and the Alphafriends and Jenni Dowd's "Phonic's Dance. Concerned that if I add something else (ex. Zoo Phonics or your Alpa songs the kids might get confused) thoughts? Do love your Sight word DVD's and your blog. thanks for the tips! I give the parents of children who are struggling copies of the RAN boards to work on at home, the ZP flash cards, and also loaners of my Alphabet songs DVD. As far as kids getting confused with too many different programs, I would have to ask others who have tried using lots of different programs simultaneously- I haven't done it! I haven't had any complaints about it, but other than that, that's all I can say. Does you think that this pace is too fast for K kids? I am very surprised at the CA preschool standard to know most of the letters and sounds before starting kindergarten. Especially since your students are even younger than mine - in VA the cutoff is Sept 30. The first few weeks of school I have so many life skills, routines, and general concepts to teach I can't imagine reviewing all the letters during that time too. We go at a much slower pace with letters and sounds but my kids are still reading at the end of the year. Just wondering your take on it! Love your site and materials! It's fast, but most of the kids can do it. Many of the ones with the fall birthdays do struggle, though, there is no question about it. They would really have a problem if it weren't for the tutoring program. On the other hand, we have met the goal of having just about everyone knowing all of the letters and sounds by the beginning of November every year now for quite a while. So it must work out. We'll see what happens this year... The group in general this year in our Kindergarten at our school is lower than it normally is. Its just me again :) I was just wondering where you got the letters the children are driving cars on? Was it a font? Thanks!! Those letters that the children are driving cars on came from MakingLearningFun.com! It's a free download. The kids are supposed to go /mmmmmmmmm/ as they drive the car on the letter m and so on. I don't know if any of them actually DID, but hey, I can try! Thank you soooooo much for all the freebies and ideas I can hardly wait till Monday to share the letter tips with my class. (Did I really just say I can hardly wait till Monday. Yikes! I really must get a life :). I especially like "Y" idea. I was trying to figure out what "pirate-like" meant and I think I figured it out. It's like when the kids sing the YOU song and go " you-d-ly you, you-d-ly you while twirling their fingers around their heads. Well at least I think that's it. If not, no biggie. I've had great fun sitting here with my Saturday night margarita singing letter sounds. Have a great rest of the weekend! I LOVE HOW YOU ASK THE PARENTS TO SIGN AN OATH THAT THEY WILL HELP THEIR CHILD LEARN -- I'VE GOT TO DO THAT!! What I meant for the "pirate-like" motion for the letter G was like when a pirate says "Ar!" with his fist swinging. I try to liken the fist swinging motion to the shape of the tail of the lower case G. It's really a weak connection, but it works for some kids, LOL! I'm really glad that you are looking forward to Monday.... I must confess that I'm NOT, ha ha! Wow, I think you and I have the same class. This is definitely the lowest class I have had. Thank you for posting all your tricks of the trade. You blog has helped me several times in the past year. I appreciate all the hard work that you do for fellow teachers. It is really interesting reading all of the comments about the children being lower this year. I am from Ohio and we are noticing the same thing. I bought your entire program last year because of the sight word component. I didn't think that I would need the letter dvd as much but I use it every day this year (I have all day every day Kindergarten from day one)! Last year I only had 4 children that DID NOT know all letters on the first day of school this year I only had 6 that DID know all letters on the first day. I wrote a grant for the program materials and the rest of my team is doing the same thing this fall. Thank you for all the sharing! Would it help the students to remember the letter R to think of a pirate standing with his bowed arm resting on his hip and his right peg leg pointed to the side growling "ARRRRRR"? Thanks for sharing all your ideas and insight! Thank you so much for all of your helpful information to help our those that are a little behind. I was wondering how often you meet with your students. Especially the lower ones. Do you meet with them during centers and if so, what does this look like? Right now I am only meeting with each group once a week but I know I need to change it so I can meet with my lower groups more. I would appreciate any feedback. I meet with every group, every day! I also meet with my lowest group for after school tutoring three days a week, but then that's required, so I'm no saint as far as that's concerned. They are sweet kids, but I'm not volunteering away my precious time! Also, if you use the "Search This Blog" feature on the right hand side of the blog, you will be able to find a lot more entries on this topic. Wow! Thank you sooo much Heidi. I just finished reading all of your previous posts and my wheels are turning.I know every classroom situation is different and we have to accomodate with what we have and the needs of our students so no point in complaining with what I don't have. :)I currently have 18 students with no aide and no volunteers. Our kids go a full day...8-3pm. If you had time I would love to share my schedule with you and see if you have any thoughts. Students come in starting at 7:45. They unpack and do a table top activity while I check home folders. We begin our day at 8:10 with calendar/math. 8:30-8:45 we work in our math workbooks whole group. (more on that later) I have also tried simple math centers during that time. 8:45-9:15 we have literacy centers for 30 mintues. I meet with one group each day. The other students are working independently in just one center. (pocket chart, write the room, sight word activity, listening) I was thinking I could break that time up and add another center since they are starting to work faster and finishing early. So the students would go to two centers and I could at least meet with my two lower groups more frequently. I would like to add math centers to that as well during that 8:30-8:45 time. Right now everyone in my grade level focuses more on math workbooks done whole group. I would like to swap that time with math centers which would back into my literacy centers and provide more time to meet with students. So our center time could be 8:25-9:15 where the students go to two literacy centers and one math center.After our literacy centers, we do writer's workshop. The class meets on the carpet and a few students share their "news." I model on the board what the students shared and give a mini writing lesson. From there, the students have about 20 mintues to write their own news in their writing journals and illustrate their writing. I conference with the students to work on their writing. Most are writing 1-2 sentences now! Then they go to P.E. When they come in we have different center time. The centers are Art, Science, Math, Math Games and Writing. These centers are focused on whatever theme activity we are learning. I don't meet with groups during this time but work more one on one with a couple of my ELL students and jump around to each center. (my 4 lowest students are pulled out for intervention during this time) When the students finish their center activity, they can pick a free play center.After that we go to lunch, then the kids go to their specials. Next is recess followed by our Theme time where we read a book and discuss the theme we are learning.Finally we have rest time. During rest time, we have to progress monitor for our state DIBELS test.This is also a time I work with my lower students unless it's around report card time and then I'm pulling my hair out doing assessments :) If you have read this far...thank you! So here are my questions. 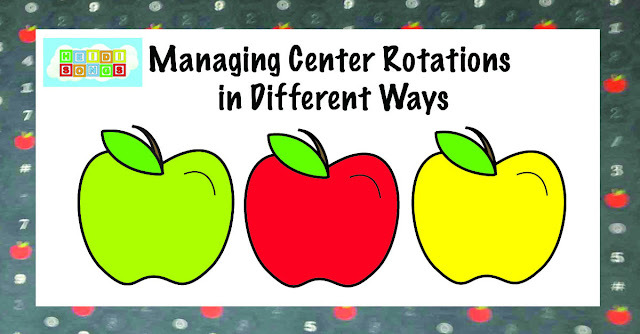 Is 15 minutes to short for my students to work in their center if I split my literacy center groups up? Right now I have 5 groups with 3-4 students in each group. Is this too many? I've seen where some teachers have 10 centers going at once so fewer students are in each group. What are your thoughts on that? With math... would it be a bad idea for one center to work in their math workbook for their center work? I don't love the math workbook but our system has put a lot of money into it and I would hate to waste it. I just know I need to do something different for math. I know most teachers right now have their schedules and centers set. Do you think it's too late to change things up? I'm not afraid of change but I also don't want to change too much. Looking at my schedule, do you have any suggestions with what I could do differently? I love the teachers I work with but I look at the way we are doing things and believe there is a much better/smarter way to do things. If you have time to offer any input I would greatly appreciate it! If you could email me at heidi@heidisongs.com, we can think about your schedule together in a more personal manner and I'll see if I can help you figure it out. It sounds like your students are all doing pretty well by now, though! You already have them writing two sentences, and I think that's pretty good! I admit that it is difficult to visualize for me what is happening in your room just by reading it; I am more of a visual person and I really need to see it. That's probably why I tend to want to videotape lessons and use those in my presentations. It is easier to show than tell! The fonts I have for ZP have a full animal AND a merged one. I am using ZP this year (1st time now that I'm back in K!) and MAN OH MAN are they PICKING up those letter sounds! :) I've been using my document camera and showing them the letter. We do the name and sound (bubba bear, buh buh) first time and then 2nd time we do letter only and 3rd time sound only! You talk about sending home the DVD to parents to watch with their kids. Would I need to purchase one for each of my low kids or are we allowed to copy it once we have purchased it? You are legally allowed to make one backup copy of anything you own. So you can send that one back up copy home with a child. Other than that, you would need to buy another, or have your principal buy another. You can make a back up copy of that one, too, and use it for two kids, though. I hope that helps. This is standard copyright law.